GOOD DESIGN is no more expensive than shoddy design. 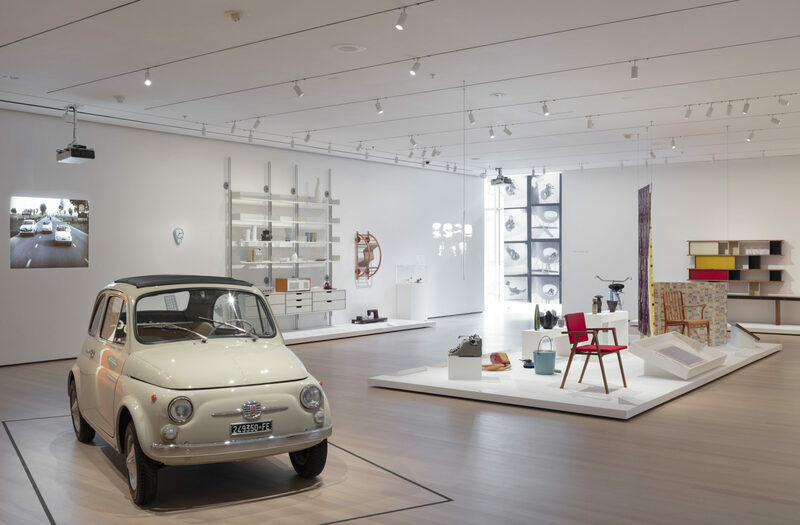 And New York City’s Museum of Modern Art has advice on the choice in “The Value of Good Design,” an exhibition running through June 15, 2019. This, the following images, and information from the Museum of Modern Art. Even for those of us who are a vast continent away from MoMA, the exhibition’s website offers images, a Checklist and a Collection of Quotes. The MoMA Store even makes tantalizing offers of good design. What follows here are tidbits from the MoMA exhibition, with authoritative views on the matter as well as some personal observations. Perhaps you have some design penchants as well? A Parable of Vegetable Peelers. 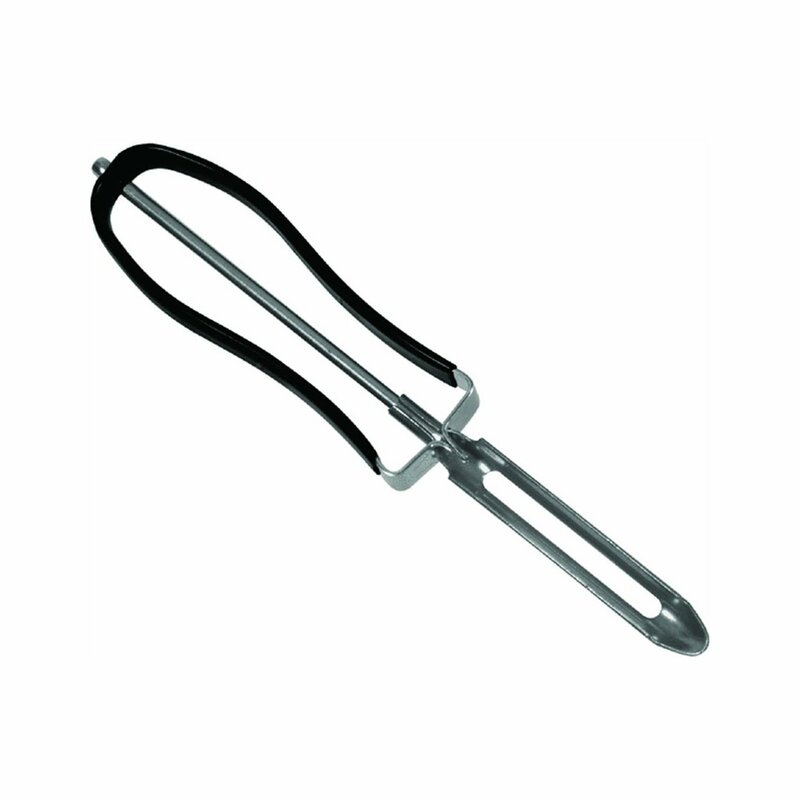 Our kitchen has several vegetable peelers, typically post-modern designs with oddly angled blades on artfully molded plastic handles. I believe none is as good as the classic Ekco design. Vegetable Peeler, steel, c. 1944; Ekco Products Co, Chicago. “Every article that derives good form from efficiency helps to make the enjoyment of art an intrinsic part of living.”—Serge Chermayeff, curator of Design for Use exhibition, MoMA, 1944. Not that everyone agrees on this point: “House Beautiful finally speaks up to point plainly at the nonsense that goes on in the name of ‘good design’… non-rational objects that are chosen for glorification by avant-garde museums.”—House Beautiful, 1955. Bowls, Crystal and Otherwise. 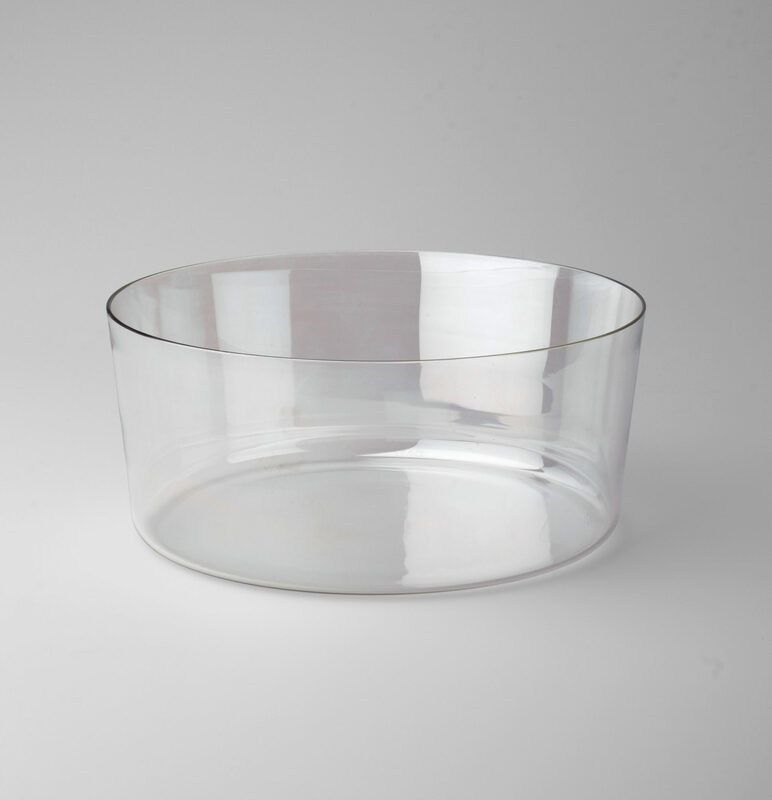 Our cats’ water bowl is most definitely not crystal, but it’s a glass counterpart of this artful design. The MoMA’s example has been in its collection since 1953. Bowl, 1947, crystal; Vera Lisková, Czech, 1924-1979. Tupperware: Shall We Party? 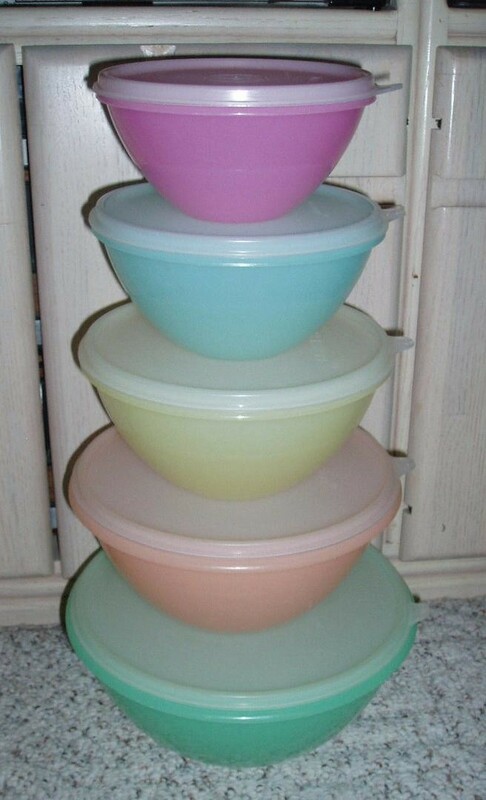 Do you remember Tupperware Parties? Sale reps pitched the product at home gatherings arranged by friends; maybe the friends would like to do similar parties themselves? Everyone seemed to like this perceived pyramid scheme of handily nested plastic bowls. Tupperware nesting bowls, plastic, 1946; Earl S. Tupper, American, 1907–1983. Image from worthpoint.com. 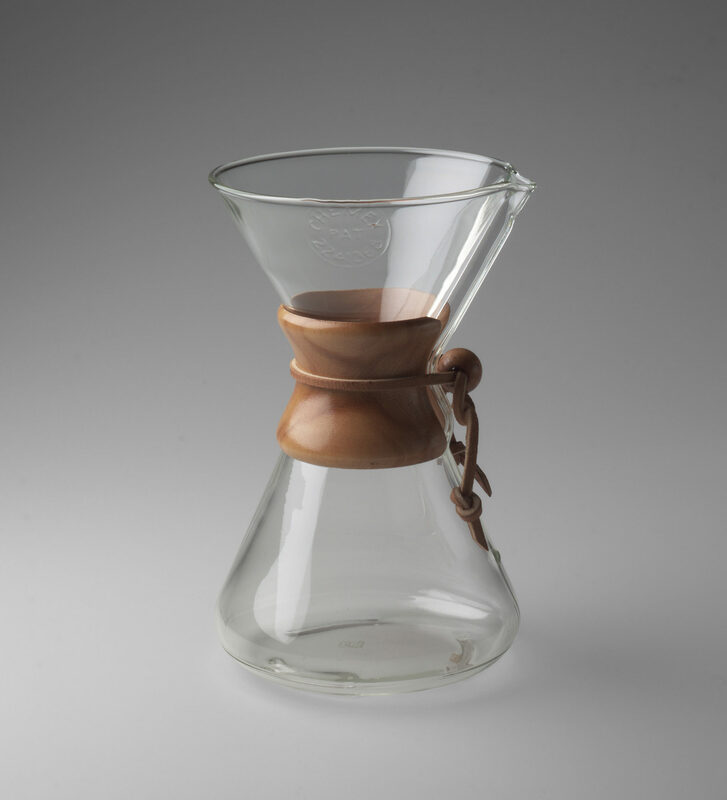 Chemex Coffee Maker, Borosilicate glass, wood, leather, 1941; Peter Schlumbohm, American, German-born, 1896–1962. “To me, good design is simply art applied to living.”—Dorothy Shaver, president of Lord & Taylor Department Store, New York, 1950. Lighting the Way. 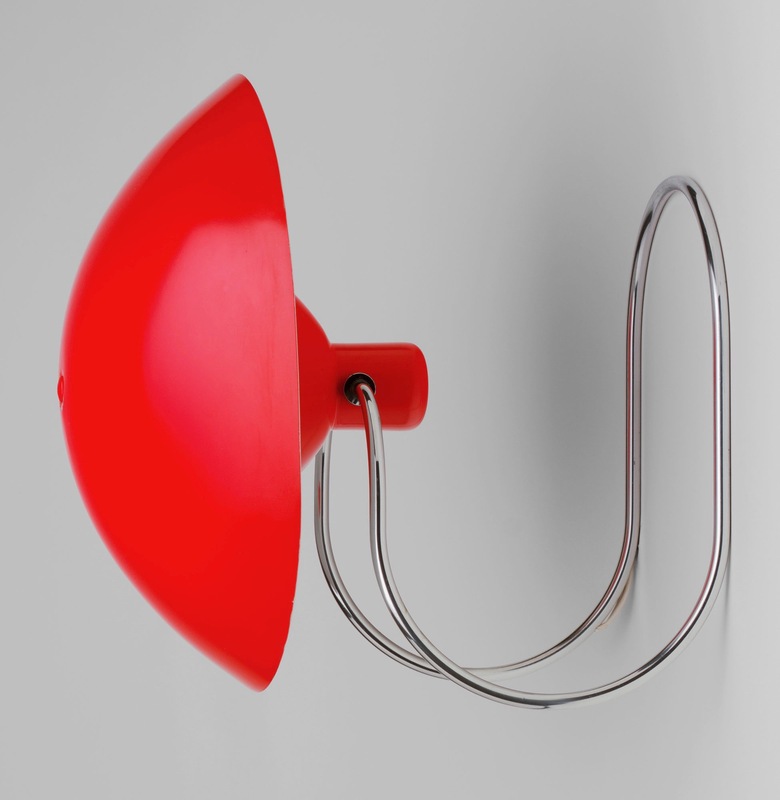 We have eschewed caffeine around our place, but the lamp next to one of our computers bears a resemblance to Peter Pfisterer’s artful two-bulb design. 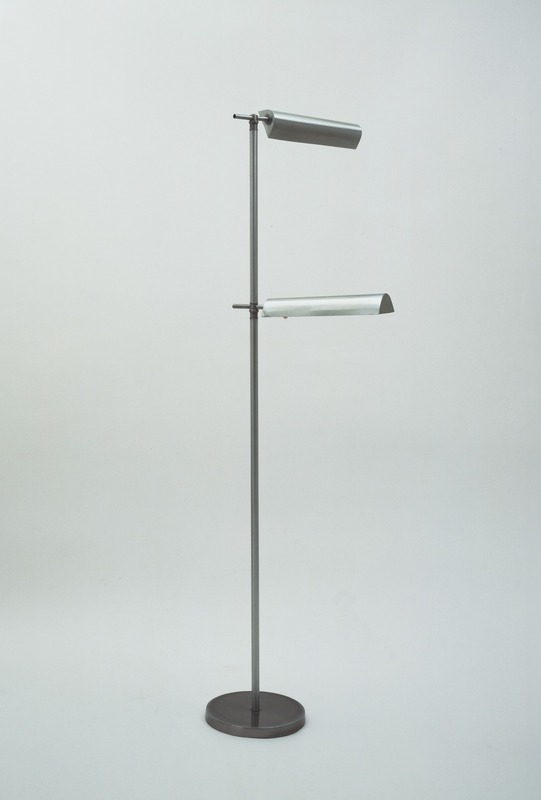 Floor Lamp, nickel-plated steel, brass, c. 1940; Peter Pfisterer, American, Swiss-born, 1907–c. 1963. Fiat 500f. Italian designer Dante Giacosa makes his third appearance here at SimanaitisSays, what with his and Fiat’s 500 Topolino and Otto Vu. 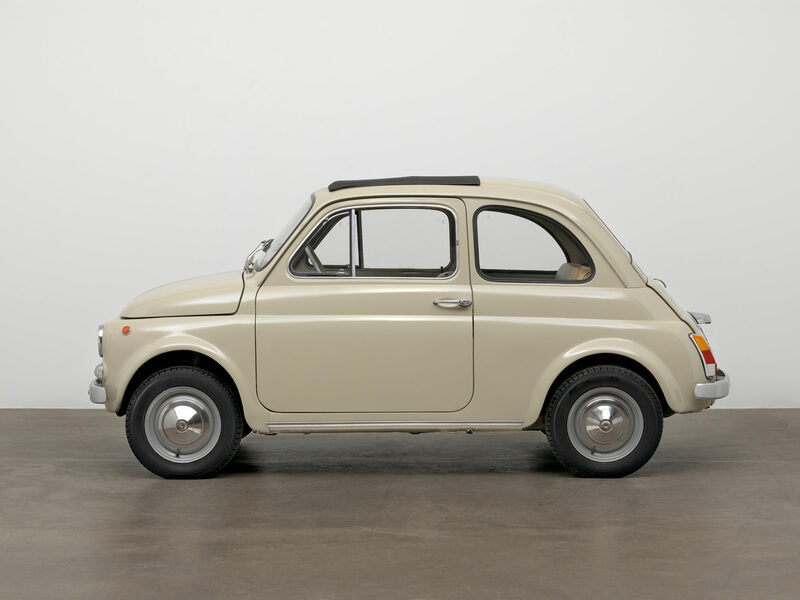 Fiat 500f, steel, fabric top, 1957; Dante Giacosa, Italian, 1905–1996. “Good design 1 Fulfills its function, 2 Respects its materials, 3 Is suited to the methods of production, 4 Combines these in imaginative expression.”—Eliot Noyes, designer, 1959. Have It Your Way. Do you need a hanging lamp or a table lamp? 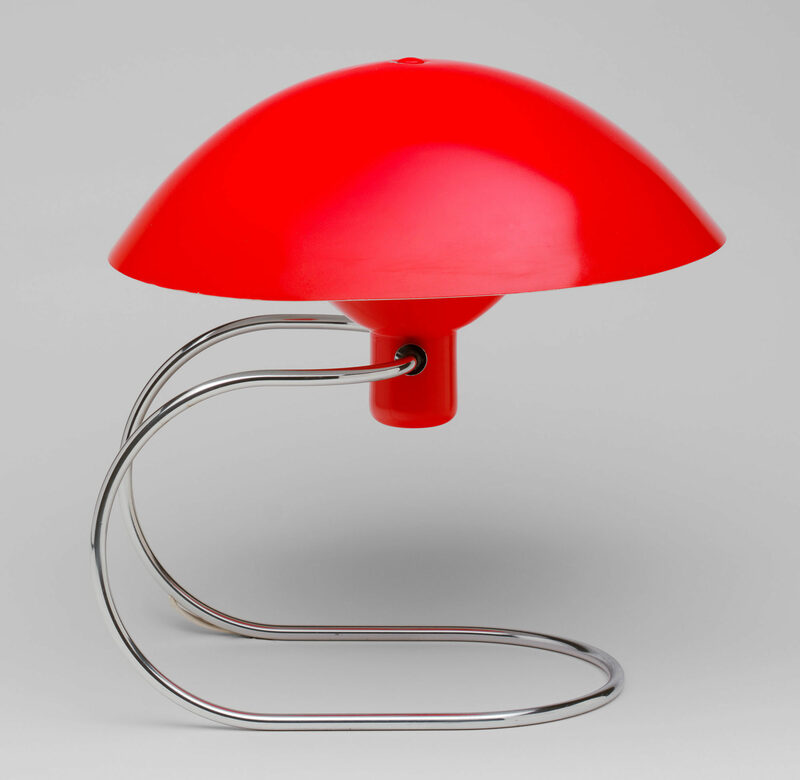 Anywhere Lamp, aluminum, enameled steel, 1951; Greta Von Nessen, American Swedish-born, 1898–1978. 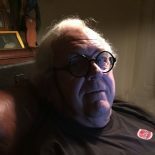 This entry was posted on April 5, 2019 by simanaitissays in And Furthermore... and tagged "House Beautiful" magazine, "The Value of Good Design" Museum of Modern Art New York City, Dante Giacosa Fiat 500, Dorothy Sayers Lord & Taylor Department Store, Earl S Tupper Tupperware nested plastic bowls, Ekco vegetable peeler, Eliot Noyes designer, Greta Von Nessen Anywhere Lamp, Peter Schlumbohm Chemex coffee maker, Vera Liskova bowl.